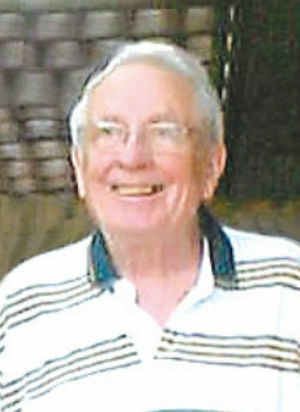 Obituary – Pricer, Darrel Dee « Perry High School Alumni Association, Inc.
Darrel D. “Smokey” Pricer, 86, died Friday, February 28, 2014. Darrel was born in Perry, OK to Henry and Lottie Haskell Pricer, July 13, 1927. After graduating from high school in Perry, Darrel went into the Navy and was stationed in San Diego. After the Navy, Darrel returned to Perry where he married Billie Leafgreen, January 8, 1948. After many positions in Perry, Darrel attended the Gupton Jones Institute of Mortuary Science in 1963. After graduation, he was a funeral director in Perry and Ponca City before he began a long career with the Moore Funeral Homes in 1966 when Moore’s Eastlawn first opened. He retired in 1996 after many years as the Manager of Moore’s Memory Chapel, Southlawn and Rosewood. Darrel’s desire to serve others was fulfilled in Perry as an active member of the Jaycees, the Perry Lion’s Club, and as one of the initial proponents and founders of the Oklahoma Lions Eye Bank in 1957. He continued to serve others in Tulsa as a charter member of the McCullough Lions Club, and through his various leadership roles in the First Christian Church. Even as his health in later life forced him off the golf course, he still enjoyed his family, watching OSU sports, maintaining his immaculate yard and working jigsaw puzzles. Darrel was preceded in death by his wife of 57 years, Billie.